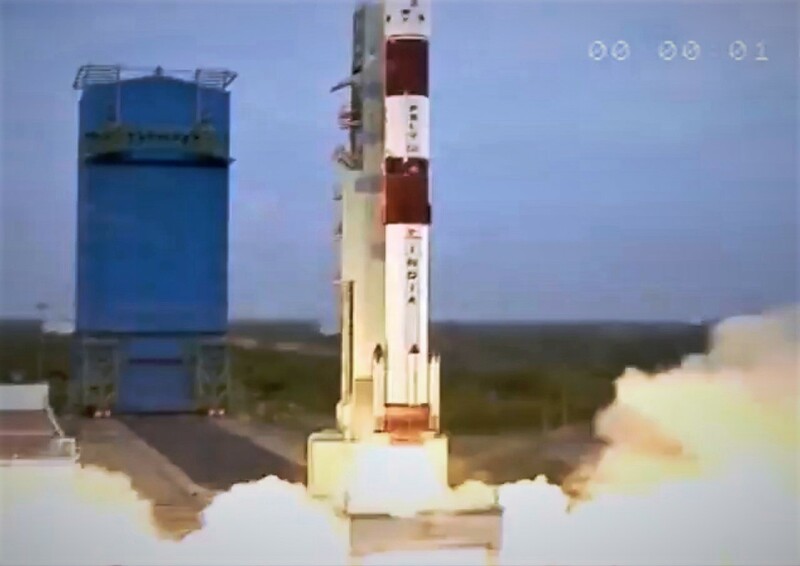 The first Earth observation satellite for Seattle-based BlackSky’s Global constellation has been sent into orbit aboard an Indian rocket. Global-1 was just one of 30 secondary payloads for the PSLV-C43 mission, launched at 9:57 a.m. local time Nov. 29 (8:27 p.m. PT Nov. 28) from the Indian Space Research Organization’s Satish Dhawan Space Center at Sriharikota. All those satellites went into a sun-synchronous, nearly pole-to-pole orbit at an altitude of 504 kilometers (313 miles). The primary payload aboard the four-stage Polar Satellite Launch Vehicle was India’s Hyper Spectral Imaging Satellite, or HySIS, which is designed to capture Earth imagery in visible, near infrared and shortwave infrared wavelengths from a height of 636 kilometers (395 miles). Potential applications range from weather and climate research to agriculture monitoring and water management. This entry was posted in GeekWire and tagged BlackSky, India, Satellites, Spaceflight Inc.. Bookmark the permalink.